“‘Ain’t Ye All Gods?” – that was what was Asked 2000 Years ago by Jesus. So, what is a God – but a Creator? And Man place so much Emphasis on his ‘Creativity’, which implies: Man is a Creator. After all, we Created our Society, we Created our Economic System, we Created our Social System, we Created our Justice System, we Created ALL the Systems that Manage Mankind and the Animals on Earth, and some of the Plants. So, are we Gods? ‘Cause - we Are Creators. Then, there is another Point to Consider: “by your Works, you will be Known”. That would mean, not our Job, but That which we have Created, Defines us. Can we say that that is ‘Godly’ and ‘Divine’? This Question must be Answered by each one Self-Honestly, because Certainly – we Create, but What we Created is in our Image and Likeness, because Gods Create in their Image and Likeness. Many Claim they are ‘Divine’, but for That to be True: one need to take more than a few Cups of Wine. And once you are totally drunk, you may be able to Convince yourself that there is some Divinity in Man. Now here we have to Pause for a Moment and Look at another Point, and that is that: it is Claimed by Many that this World is the Dwelling place of Satan, because God cast Satan to the Face of the Earth and made the Earth the Dwelling place of Satan. And, furthermore – we have the ‘Fallen Angels’, one third of Heaven that was Cast out. What Evidence do we have that there are Satan’s and Devils on Earth? All we have to do is Look at the Works of those who’s Dominion the Earth is. What is Mankind Creating? Is it a Way to Live by? Or is it the Reverse: Evil? What do our Works say about us? And, we’re not in Heaven; we’re definitely cast out here on Earth. So – we’re Definitely ‘Fallen’, and we keep on Falling because things are not getting better – despite every Possible Delusion we can come up with which Claims ‘Divinity’, ‘Godliness’. Unfortunately, our Works as a Society Speaks for Itself. God, in the sense of ‘Love’, would Create Works that Portray Love. For instance, what many Claim is ‘Unattainable’: a World where Life is Honoured in every way, practically, as That which is Best for Everyone – both Individually and as a Group. We certainly Can Confirm, that what exist on Earth is being Created by the Group as Humans. The Works though, Indicate very Cleary that: we are Incapable of Creating, it seems, Anything else but as much Harm as any Creator can Conceive and Live-out, Generation after Generation. Our History Books Read like a Horror-Story, which Only Evil can come up with. Now, from a Point of Practical Living: Jesus was probably the Most Enlightened Being and Most Likely the Only Enlightened Being that has Walked the Face of the Earth but for the One Point, which was getting himself killed before he Managed to get more Humans to Understand the Principles of Benevolent Creation, which is: “Love they Neighbour as they self”, “Give as you would like to Receive” and “Do unto another as you would like to be Done to”. A Trinity of Principles, which when Applied as the Rule of Law and as the Constitutional Right to Life as Equals: would Create a World which is In Fact Godly. But, How likely is it that the Fallen Human in his Satan-Cloth (and here Satan means to “Say it inside”, which is “Thinking”), would Give-up his Method that he use to Curse others and himself? Because, strangely enough, the Human would Insist on the ‘Right to Privacy’ in their own Minds, where they then can Curse Everyone as they like. And, that is what the Human do: Constantly Cursing, Judging, Demeaning, Depicting other beings on Earth in All kinds of Ways that are most Atrocious. But, when the Human Speak: it’ll say ‘Nice Words’. The Truth, though - is the Satan within as the Way one “Say it”. Fascinatingly enough: that there is a Massive Forgetfulness by these Creators on Earth. Man is Taken through a Process from a Child of Purity to One of Complete Contamination – Ending-up as an Organic Robot, that Parrots what it was Taught, Generation after Generation, Accumulating Layer upon Layer of Self-Deception; without even Understanding the most basic components of the Mind and how that Interacts to Produce Thought, Feeling and Emotion…Never mind Personality and Character. Our most Advanced Psychologists have No Clue about the Science behind this – but would Dare to virtually Declare half the World Insane, just for a Measure of Profit, and there will be No Shame. Then we have a Group on Earth that Claims they are the ‘Light of the World’ and that they are ‘Divine’, they are ‘Children of the Universe’. And, whenever they see each other they will say: “Namaste”, and they will Claim that it means: “I recognize, the God in me, is the God in you”. But, they don’t Understand that the Mind is ambidextrous, that the Mind is Yin and Yang, that is Spirals in Precision like a Google Search Engine - and whenever you Speak a Word, it Scrambles the Letters to form more Possible Words to See what ‘fit’ the Works of Men throughout their life. And then it Checks whether the Speaker In Fact has the right to speak the Words, as the Works, as the System, as the World – to Check, if the Person is Honest with themselves. Here, obviously Not at a Conscious Level, because the Person do not Live as a Conscious Being, but as a Subconscious and Unconscious Being – which Constitutes more than 94% of the Totality of the Person. And, therefore: the Measure is Within the Past of what’s gone before, what is being allowed and what is being accepted, what is being Created as the World, as the Society, as the Part each one Play – mostly Indirectly. 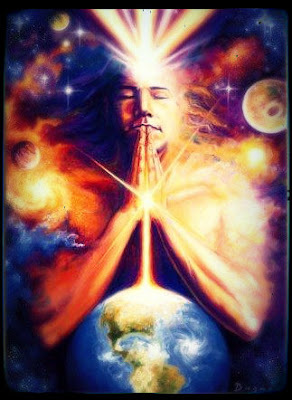 And in This, the Mind Emerges and say: “Yes, you can say “Namaste””, and the Feeling is Released and one FEEL it, but the Mind Equate it to a New Word: “Me, Satan” – the Exact Letters of Namaste, rearranged to Portray the In Fact Nature of the Human on Earth as it is Evidenced in the World System. And these ‘Divine Beings’, beLIEve that there is some ‘Greatness’, when this ‘Greatness’ would have showed up in the Works as the World System, and it is Nowhere to be Found. Nowhere can you Find a Group of Men working together but for very few that are Working to Produce a World that is In fact Worthy of Namaste, in All Ways as it Must Be, for it to be True. And if One Dare to Question these One’s that Claim ‘Divinity’: they come up with All Kinds of Excuses, but will Refuse to Consider the Works that is In Fact on Earth, but Rather would Create an Illusion in the Mind – the very thing they don’t Understand how it Functions, and Conjure up the Curse they place on themselves by Cursing Life in the Physical as ‘not Valid’ as ‘not Worthy’, while it is THEM that are not Worthy of Life. And so, they Produce and Create the Ultimate Proof of their True State, which is: “Ignorance is Bliss”, and in this ‘Bliss’ – they Remain, no matter what, no matter the Evidence, no matter Reality. Because ‘Bliss’, is All they beLIEve in. This is Not Love, this is Not Life – this Ignorance is Evil and must be Stopped. A Total Re-Education is required, because each Man, no matter How Educated: is Fundamentally Flawed in the Subconscious and the Unconscious, without ANY Clue as to how it Functions. How could you Dare to Ever Trust a Single Thought, a Single Feeling or a Single Insight, when the very Works of Men on Earth Shows the Extent of the Evil that Dwell on Earth? We’ll continue with God’s in the Afterlife that Created these Men. Would these Gods be any different than their Creation?